The apps you use most--your Web browser, productivity tools, media managers, and Windows and its built-in accessories--are more powerful than you realize. They are loaded with unpublicized features that make your PC easier to use, they respond to superquick keyboard shortcuts that you've never heard about, and they support add-ons and plug-ins that can shave minutes or even hours off of mundane daily chores. But finding these shortcuts and obscure features usually means perusing dusty manuals or digging through intimidating help menus, and many of the most useful tips are ones that you would never have thought to look for in the first place. Fortunately, you don't have to do the searching yourself--we've done it for you. 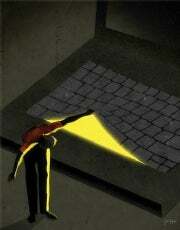 Read on for the mother lode of expert software secrets. No matter how fast your system is already, a well-crafted Windows shortcut can give it a recurring productivity boost. These tricks and workarounds will make your applications quicker to launch, your files easier to find, and your PC simpler to manage. Quickly pull up the System Info window with the Windows key. 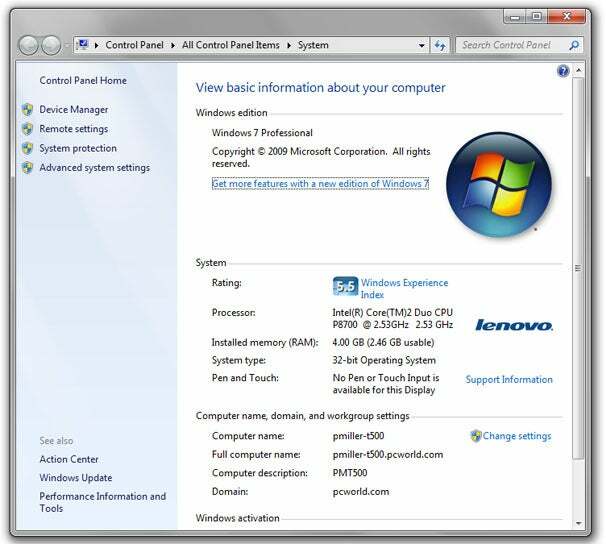 Quickly view your system specs: Press Windows-Pause to bring up the System Info window. This keyboard shortcut can be especially handy if you're troubleshooting a PC and need to pull up the system's specs in a hurry. Launch taskbar apps: Put your most commonly used appli­cations in the taskbar, and you'll use your mouse a lot less. Pressing Windows plus any number key will launch the program in the corresponding taskbar slot (so Windows-1 will open Windows Explorer, Windows-2 will open the app positioned to the right of Explorer, and so on). Press Windows-P to switch display modes when you attach a peripheral. Ditch the Displays Control Panel: To switch display modes instantly when you plug in a projector or dock your laptop to an external display, press Windows-P.
Run apps from anywhere: You can launch applications and set parameters from your keyboard, without having to waste time digging through the Start menu to find the one you want to use. Press Windows-R to bring up the Run dialog box. Don't lose your work to automatic updates: Windows Update often forces your PC to restart after it finishes updating the operating system with the latest fixes--and if you're away from your desk with an unsaved document open at the time, you'll lose your work. To prevent this from happening, open Windows Update in the Control Panel, click Change settings, and in the drop-down menu select Download updates but let me choose whether to install them. That way, you'll never again get burned by a post-update reboot. Change Windows Explorer's default folder. Change Windows Explorer's default folder: Tired of clicking through Windows Explorer to find the one folder you use regularly? You can save precious time and mouse clicks by making Windows Explorer open your favorite folder by de­­fault. Right-click the Explorer icon in your taskbar, and then right-click Windows Explorer and select Properties. 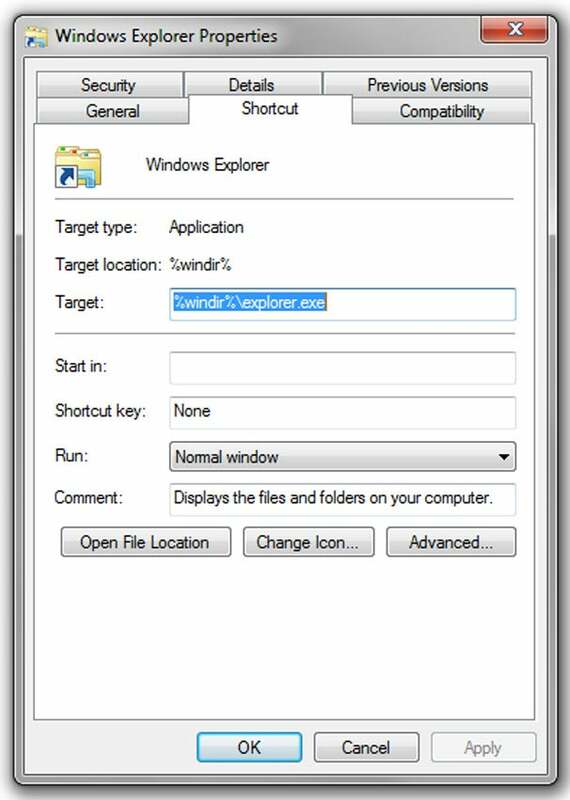 In the Target field, add a space and a file path at the end of the ‘%windir%\explorer.exe' section, so that the new (longer) path looks like this: ‘%windir%\explorer.exe C:\Users\yourusername\yourfolder'. Change your Folder Options to use the same view. 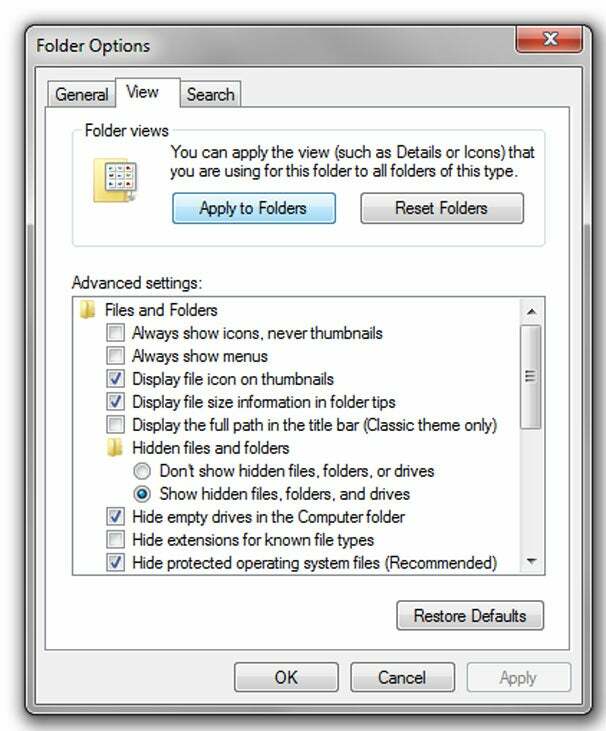 Stick to one point of view: Windows will remember and abide by your View settings for each individual folder--a level of faithfulness that's annoying if you like to stick with a particular view setting. Open a folder, click the Organize tab, and choose Folder and search options. Select the View tab and click the Apply to folders button at the top. You have a new default folder! Disable touchpad clicking when you type: If your touchpad is set to detect a tapping motion as a mouse click, it can send your cursor flying around your screen whenever your wrist accidentally brushes against the touchpad. Grab Touchfreeze, a free utility that automatically disables your touchpad while you're typing, and you won't have to wonder where your newly typed text ended up. Use your local Library (folder): Windows 7's Libraries provide an easy way to organize and access files, but they become much more useful when teamed with Win7 Library Tool, which lets you add nonindexed folders (including network folders) to your library of choice. Safely remove memory cards without waiting: You're supposed to use the Safely Remove Hardware icon in the system tray before unplugging memory cards and the like--but waiting for it is such a pain that you'll be itching to pull your memory card without waiting for Safely Remove Hardware to do its thing. The key to making quick removal safe is to ensure that Windows isn't writing to the card without your knowledge; if the operating system behaves itself, you can eject the card whenever you want without corrupting your data. To adjust your settings, first right-click the memory card in Windows Explorer, choose Properties, click the Hardware tab, select the memory card reader, and choose Properties; then click the Policies tab (you may have to click the ‘Change settings' button before Policies shows up), and choose Optimize for quick removal. Henceforth, you won't need Safely Remove Hardware. Restore your Quick Launch bar: Windows 7 added a lot of neat features to the taskbar, but in the process it got rid of the Quick Launch bar. Fortunately, bringing Quick Launch back is fairly easy. Right-click the taskbar and uncheck Lock the taskbar; then right-click the taskbar again and choose New toolbar. Type %appdata%\Microsoft\Internet Explorer\Quick Launch into the file path, and then click the arrow button on the right to navigate to that folder. Quick Launch will be back in action. Clean up your system tray: Your system tray probably contains lots of icons that you rarely use. Instead of clicking the arrow to expand the system tray every time you need access to its contents, just drag the icons you use most often from the expanded tray to the minimized tray area on the taskbar. That way, you can click them immediately instead of having to expand the tray and root around for the icon you need. Drag and drop to your taskbar apps: A taskbar icon's behavior depends on which modifier keys you hold down as you click it. Hold down Shift while you click an app's icon to open a new instance of the app. Hold down Ctrl-Shift while clicking the app's icon to open the program as an administrator. Drag a file from your desktop (or from an open window) over an app's icon on the taskbar to pin the icon to the app's jump list, or hold down Ctrl to open the file with that program.